The Klarman Family Foundation is the charitable organization of billionaire hedge fund investor Seth Klarman. The Foundation, which also gives to a variety of medicinal causes and Boston-related projects, is an important funder of rightist “pro-Israel” groups. “Through other partnerships, we are focused on deepening connections between Israelis and Americans, particularly among young adults, scientists and other thought leaders,” the Foundation states on its website. Among the groups Klarman has supported are the Washington Institute for Near East Policy (a spinoff of the American Israel Public Affairs Committee), the neoconservative Foundation for Defense of Democracies, the Middle East Media Research Institute, Daniel Pipes' Middle East Forum, and the David Project, which has opposed the construction of mosques in Boston. Klarman is also a major funder of The Israel Project (TIP), a hawkish advocacy organization. A member of TIP's board of directors, he gave the group nearly $4 million between 2008 and 2011. The Foundation also funds a number of controversial Arab and Islamic groups. In 2011, Klarman gave $10,000 to the American Task Force on Palestine (ATFP), which claims to be “committed to strengthening Palestinian-American relations.” ATFP also receives substantial funding from the United Arab Emirates (UAE), receiving $148,800 from the country in 2011. Another such group is the American Islamic Forum for Democracy (AIFD), founded and by Zuhdi Jasser, a right-wing ideologue and promoter of surveillance of Muslim communities. Klarman is also a prominent funder of the American Islamic Congress, an organization that the George W. Bush administration helped start. Some observers have argued that Klarman's funding reflects a "wedging" strategy, with Klarman aiming to support "Muslim and Arab-oriented front groups that advance pro-Israel interests while undermining the objectives of mainstream Muslim and Arab-American organizations." 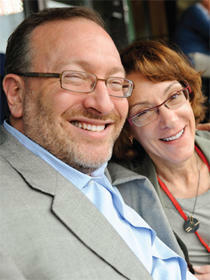 According to its 2012 Form 990, the Klarman Family Foundation totals assets were nearly $350,000,000. 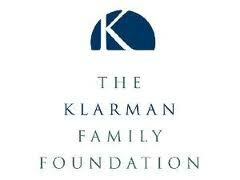 The Klarman Family Foundation, “About the Foundation,” http://klarmanfoundation.org/. Max Blumenthal, "Weddady's Free Arabs, American Islamic Congress and the pro-Israel funders who helped them rise," The Electronic Intifada, May 7, 2013, http://electronicintifada.net/content/weddadys-free-arabs-american-islamic-congress-and-pro-israel-funders-who-helped-them-rise. Max Blumenthal, "Weddady's Free Arabs, American Islamic Congress and the pro-Israel funders who helped them rise," Electronic Intifada, May 7, 2013, http://electronicintifada.net/content/weddadys-free-arabs-american-islamic-congress-and-pro-israel-funders-who-helped-them-rise. Max Blumenthal, "American Task Force on Palestine finds funding from anti-Palestinian billionaire and a repressive monarchy," Mondoweiss, November 27, 2013, http://mondoweiss.net/2013/11/palestinian-billionaire-repressive. Guidestar, Klarman Family Foundation 2012 Form 990, http://www.guidestar.org/FinDocuments/2012/043/105/2012-043105768-09be671c-F.pdf.